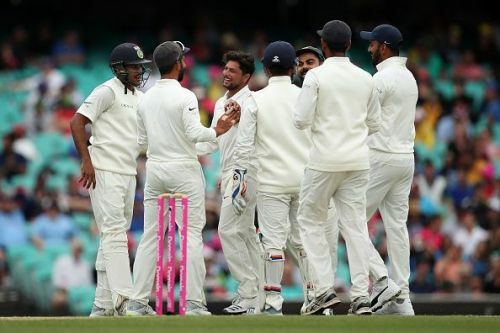 It was the Indian Cricket Team which dominated yet another day of the India-Australia Test series as they bossed their way throughout the Day 4 of the fourth Test of the series. After displaying scintillating performance in the past three days, the team didn't stop today as well and have almost ensured their first Test series victory in Aussie conditions. At stumps on Day 4, the game is in the visitor's pocket and there are almost no chances of the hosts winning the game unless of course, a miracle happens. The fourth day started on some note as that of the Day 3. Just like how we had to leave the latter before the actual timings due to rain-interruption, the start of Day 4 was no different. Both the teams had to call for an early lunch without a single delivery bowled due to the showers throughout the first three hours of the day. After long dramatic scenes, the teams finally took the field. The Australian side were six wickets down already and with four wickets left, India took the new ball as soon as the day started. This turned out to be a masterstroke as Mohammed Shami took the wicket of Pat Cummins in the second over of the day. After this wicket, Peter Handscomb and Mitchell Starc tried to build a partnership but the dangerous-looking Handscomb was eventually dismissed by Jasprit Bumrah. Kuldeep Yadav, continuing his form, then struck in the next over. The last wicket then added 42 valuable runs for the Australian team as Kuldeep Yadav dismissed Josh Hazlewood and wrapped up the Australian side on the score of 300. India was leading by 322 runs and with high chances of winning the game, the visitors decided to enforce the follow-on. The Australian openers came out to bat once again but only four overs could be bowled due to bad lights and it was eventually declared Stumps after some time. India is still on the driving seat in the match and if rain and bad light do not interrupt the last day of this match then there are high chances of India winning the game and registering their first series win in Australian conditions. Here are the talking points from the day. Kuldeep Yadav has been a great prospect for the Indian cricket team. The wrist spinner is in great form right now and he is the leading spinner in Indian squad at the moment. The potential that the lad possesses isn't hidden from anyone of us. 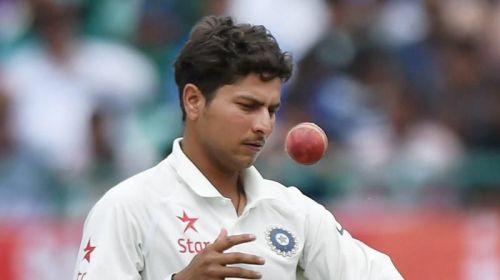 Kuldeep was given a chance in the fourth Test of the Border-Gavaskar trophy. His selection in the lineup was, albeit, expected to be a risky move but the guy silenced all the critics as he performed brilliantly in the match. The UP-born took a five-wicket haul in the first innings. It was only his second Test match in SENA countries and his inhuman capabilities simply made people wonderstruck as the guy took a five-wicket haul. While many spinners like Ravichandran Ashwin haven't been able to achieve this feat after so many matches, the Chinaman did it in only his second match which is commendable stuff.